We’re a little over a week into the 2014 World Series of Poker, and there are already some phenomenal happenings at the Rio All-Suit Hotel & Casino. Vanessa Selbst and Brock Parker both captured their third career gold bracelets, Justin Bonomo earned his first piece of WSOP hardware, Phil Hellmuth was denied his 14th bracelet by Ted Forrest, who won number six, and the Millionaire Maker attracted 7,977 players. There’s no time to spare during the summer grind here in Las Vegas, so without further ado let’s get into it. During five-handed play in Event #2: $25,000 Mixed-Max No-Limit Hold’em, Selbst plummeted in the chip counts and was scraping just to stay alive. She was paired up with chip leader Al Decarolis in her semi-final heads-up match when Matt Giannetti bowed out in fifth place, and the Team PokerStars Pro was heavily out-chipped. Selbst was able to battle back though, and long after Jason Mo defeated JC Tran in the other semi-final, she finally eliminated Decarolis. Selbst didn’t respond directly, but she retweeted someone who was at the same table as Mo and Selbst in the 2012 Ladies Event. Yes, you read that correctly. PokerStars Blog painted the picture of good vs. evil prior to the match – Mo and Ryan Fee refer to themselves as “bad boys” or the “Evil Empire” – and during the heads-up match there was definitely an interesting vibe in the mothership. Mo had a near two million-chip advantage, and was pulling away, but after the first break Selbst came roaring back. She made a set of queens against Mo’s top pair in the key hand of the match, and it was all over shortly after. A few of the people on the rail for Mo had some unkind things to say about Selbst after the match, including Doug “WCGRider” Polk who said that Selbst didn’t have the courage to play Mo in a heads-up cash game. Poker needs personalities to keep things interesting, but Mo and his crew were a bit over the top. Mo even challenged 2012 WSOP Main Event champion Greg Merson on Twitter to a game of $200/$400. I’m not sure if he knows, but that’s not how disputes are resolved in the real world, only in the fantasy world that is TwoPlusTwo. One or more of these “bad boys” plans on entering the $1 Million BIG ONE for ONE DROP, where they may be able to exact some revenge on Selbst and/or earn a boatload of money. Then again this could be just another shallow challenge from a group of individuals that consistently feel the need to pronounce their superiority amongst their peers. A few days later, Parker took down the $10,000 Limit Omaha Hi-Low Championship, earning $443,407 and his third bracelet. Parker won two bracelets in the same week back in 2009, but despite taking down two events he only finished sixth in the Player of the Year race. Jeff Lisandro (3), Phil Ivey (2), and Greg Mueller (2) also captured multiple bracelets. Parker’s rail was filled with well known figures in both poker and Magic: The Gathering, including WSOP bracelet winners David Williams, Kenny Hsiung, and Eric Froehlich. With a near three-to-one chip advantage, Phil Hellmuth was extremely close to capturing his 14th bracelet in Event #7: $1,500 Seven-Card Razz. Unfortunately for him Ted Forrest came roaring back and eventually defeated the poker brat, capturing his second bracelet in razz and his sixth overall bracelet. On the final hand Hellmuth was drawing to a seven low heading into sixth street, but his final two cards were queens and he was unable to survive. Oh what I would pay to hear what is going on in his head during that moment. Surely he must’ve been somewhat angry at Forrest for capturing the glory, even though he says he is a big fan of Ted’s, but he must be even more upset at himself. That should be me he is thinking to himself. I should have won. 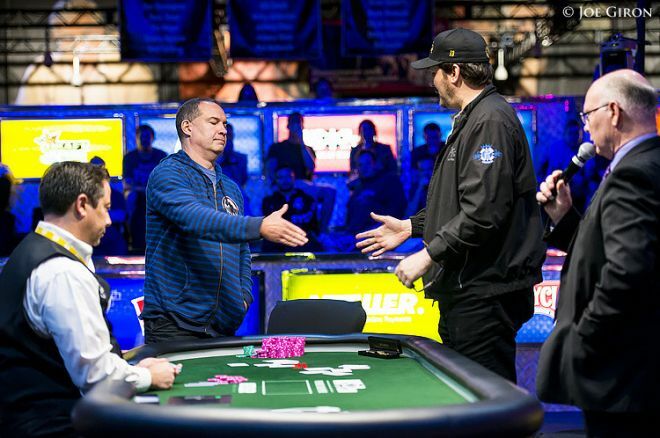 Hellmuth is no stranger to runner-up finishes at the WSOP – this was the 10th time he fell just short of a bracelet. Forrest joins an eclectic group of “Hellmuth beaters,” including Erik Seidel, Billy Baxter, Scotty Nguyen, and Johnny Chan. The more than $3.2 million Hellmuth has earned in runner-up finished is nearly a fifth of his total career earnings ($18 million), and would place him 220th in the all-time money list – right above Ludovic Lacay and David Vamplew. Hellmuth with be back in this position again soon – he always is – and it will either end in heartbreak or joyous celebration filled with Dom Pérignon. 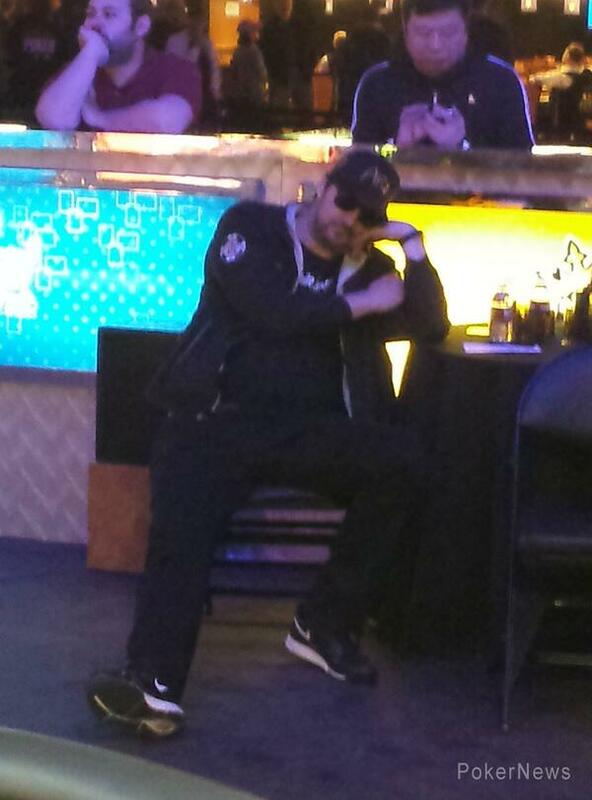 As always, there is no middle ground with Phil Hellmuth. For the second year in a row the WSOP guaranteed a million-dollar top prize for one of their $1,500 buy-in events, and once again it crushed. The tournament attracted 7,977 players – over than 1,400 more than last year – and the winner was Jonathan Dimmig. Dimmig defeated Jeffrey Coburn heads up to capture the bracelet and over $1.3 million. Coburn walked away with a nice prize as well - $815,963. Throughout the WSOP, there are countless complaints lobbed at Jack Effel and his staff. Some are warranted, some are not, and they heavily outweigh the compliments for running a smooth ship. Getting 8,000 entries in the building on one day and only having to delay the second flight for a few hours and the Day 2 restart for a single hour is an incredible feat. Most tournament series’ struggled to get 8,000 entries for the entire festival, but the WSOP staff was able to facilitate it within the blink of an eye. The only real mistake, which WSOP Executive Director Ty Stewart even admitted, was the dog show. Watching dogs run, jump, and catch Frisbees is awesome, and I am staunchly on Stewart’s side in the War for Fun in Poker, but there’s always a time and a place. An extremely crowded Amazon Room on one of the busiest days of the year isn’t the proper stage for these activites. That said, Stewart later told me that he wants to install ice slides in the Amazon Room for fans and players alike to enjoy – “I like chaos,” he says. The success of the Milly Maker prompted PokerNews Editor-in-Chief Donnie Peters to suggest a $20 million guarantee for next year, but on the latest episode of the PokerNews Podcast, we settled on a $15 million guarantee. Think about it: a $1,500 buy-in in 2015 with a $15 million guarantee. What a neat little bow that is. Whatever the WSOP thinks of next, there’s a high likely hood it will succeed. Again, Effel and Stewart deserve a lot of credit for being willing to gamble, and it’s always enjoyable to see them up the ante. Justin Bonomo doesn’t have a runner-up track record like Hellmuth, but when he fell during heads-up play against Tuan Le in the $10,000 Limit 2-7 Triple Draw Championship, it was his third second-place finish at the WSOP. Bonomo also finished second in the 2013 Seminole Hard Rock Poker Open $10 Million Guarantee and a $5,000 side event at the 2013 PokerStars Caribbean Adventure. Bonomo had roughly half of the chips in play four handed, and entered heads up with a slight lead, but Le more or less steamrolled him. A few days later Bonomo had another shot at his first gold bracelet, and this time he was a massive underdog against Mike Sowers. Sowers had a more than three-to-one chip advantage at the start of heads-up play in Event #11: $1,500 Six-Handed No-Limit Hold’em, but on Hand #141 Bonomo made a wheel on the river in a three-bet pot after Sowers had flopped two pair. All of the money went in the middle, and after counting down the stacks Sowers was left with less than one big blind. Sowers doubled up six times, climbing back up to 20 big blinds, but was eventually eliminated on an all-heart flop. Bonomo flopped a flush, Sowers was drawing with the , and the turn and river both produced bricks. While Bonomo was posing for pictures you could tell he was overwhelmed with joy. All of his breaths were deep. His smile, which only appears from time-to-time because of the way he carries himself at the table, was very wide. Moments like these remind me just how special the WSOP is. Even the most decorated professionals who have earned millions of dollars are emotionally and psychologically invested in winning the gold bracelet. It’s fantastic theatre, and even though he is single-handedly crushing Team Media in the 25K Fantasy League, Bonomo’s reaction to his win made me really happy. To the detractors who can only see Bonomo as “an online poker cheat,” let’s settle down a bit. Clearly Bonomo violated the terms and service when he was using multiple accounts online, but he was young and stupid and was also brave enough to admit his wrongdoings. Some hide from their past mistakes, which is cowardly, and the real devious people are still trying to cheat you out of your money both on the live and virtual felt. From my interactions with Bonomo, I can gauge that he is a forthright, thoughtful person who was just trying to gain an edge and made a huge mistake. He is still guilty of what he did, but that doesn’t mean a black cloud doesn’t need to hang over him for the rest of his life. We all make mistakes – whether or not we learn from them is the real obstacle. Speaking of the 25K Fantasy League, Team Media (35 points) isn’t off to a very hot start. At all. And when I mean “not off to a very hot start,” I mean we’re second-to-last in the standings. With nearly 80 percent of the schedule to go – it’s as if we’re in Week 4 of the NFL season – there’s no reason to panic, and one of our most important players just arrived in Las Vegas; Andrey Zaichenko. Zaichenko is scheduled to play in six $10,000 buy-in events, not including the Main Event, and I’d wager there’s a good chance he’s in the $50,000 Poker Players’ Championship if things break right for him early on. Likewise, there are a trio of $5,000 no-limit hold’em tournaments coming up, and I am confident that we have one of the better hold’em stables in the competition. Right now we look a bit foolish, and every time I bump into Daniel Negreanu he lets me hear about it, but let’s wait until the end of the series to see who gets the last laugh.